HONULULU: Long-haul low-cost carrier AirAsia X marked history as it made its maiden flight from Kuala Lumpur to Honolulu, United States (US), marking the airline’s first foray into the US. Flight D7 001 landed at Daniel K. Inouye International Airport here at 12.24pm Wednesday (local time) with a remarkable load factor of over 90 percent. 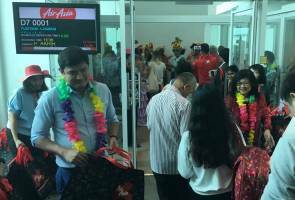 Passengers on the inaugural flight including members of the Malaysian media and AirAsia X management were greeted with local Hawaiian cultural dance and being bestowed leis upon arrival. Also on board the flight were AirAsia X Chairperson Tan Sri Rafidah Aziz and Chief Executive Officer Benyamin Ismail. According to Rafidah, this landmark route to Hawaii is a bold new chapter in the airline quest to expand its network into the US market. “This is also one of our initiatives to help more people travel further for less. “This is just the beginning. Our guests will soon be able to enjoy more flights to many more destinations in the US, as we grow our international footprint,” she said when met by Malaysian media after the AirAsia X to Hawaii welcoming ceremony at the Royal Hawaiian Hotel here on Wednesday. Meanwhile, Benyamin said, bookings for this route have shown a remarkable 86 percent load factor up till October this year, exceeding their expectation. “The important thing now is to maintain the positive momentum until October next year. If the demand into Honolulu is high, we might even consider introducing more routes to the US, perhaps on the west coast like Los Angeles and San Francisco,” he said. The welcoming ceremony was graced by State of Hawaii Chief of Staff Mike McCartney, Malaysian Ambassador to the US Tan Sri Dr Zulhasnan Rafique and Hawaii Tourism Authority President and CEO George D. Szigeti. “We are deeply honored AirAsia X has chosen Honolulu as its initial destination to expand service in the United States and appreciate how this route strengthens our ties with the people and culture of Malaysia. “AirAsia X customers in Kuala Lumpur and Osaka will enjoy the convenience of this direct service and how it connects them with the welcoming aloha spirit of the Hawaiian culture, the spectacular natural beauty of our islands, and the diversity of Asia Pacific influences that enriches the experience of being in Hawaii,” said Szigeti. He added that the new route will also strengthen Hawaii’s ties to Malaysia. “We expect this route by AirAsia X will generate US$86.4 million in tourism revenue, US$10.1 million in tax revenue and more than 1,000 jobs supported,” he said in his speech. 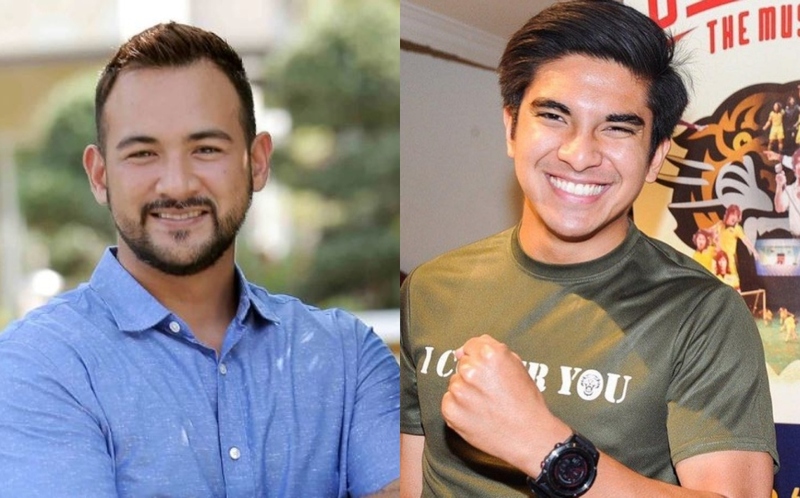 Meanwhile Zulhasnan described AirAsia’s entry into Hawaii at the right time which compliments 60 years of diplomatic relationship between Kuala Lumpur and Washington D.C. Earlier flight D7 001 was in transit at Kansai International Airport, Osaka for a two-hour stopover where a send-off celebration was held at the departure gate with a ribbon-cutting ceremony. The airlines flies four times weekly from Kuala Lumpur, Malaysia to Honolulu, Hawaii via Osaka, Japan.